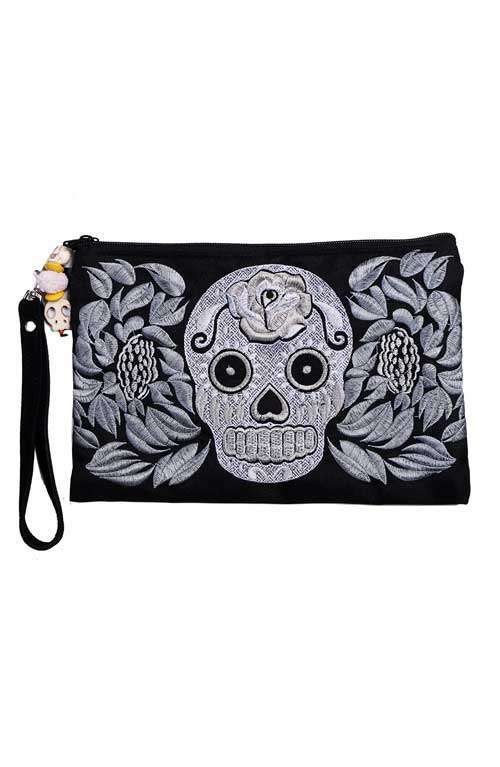 A bohemian silver skull design purse handmade in Thailand. 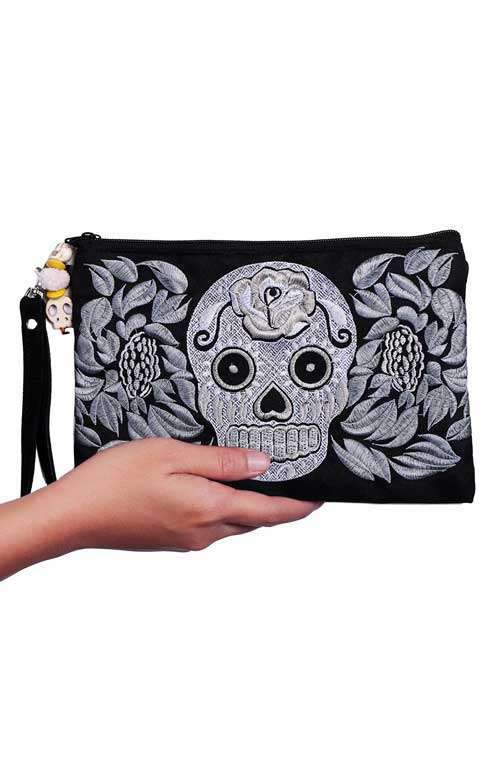 This finely detailed boho wristlet is handmade with love in Northern Thailand. 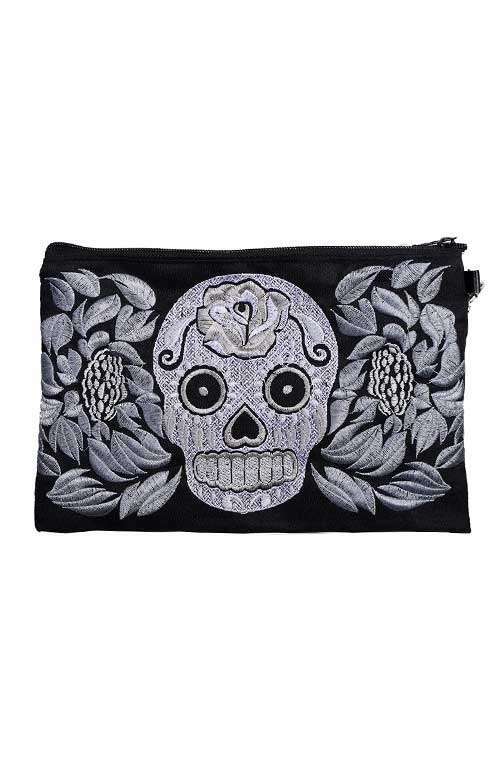 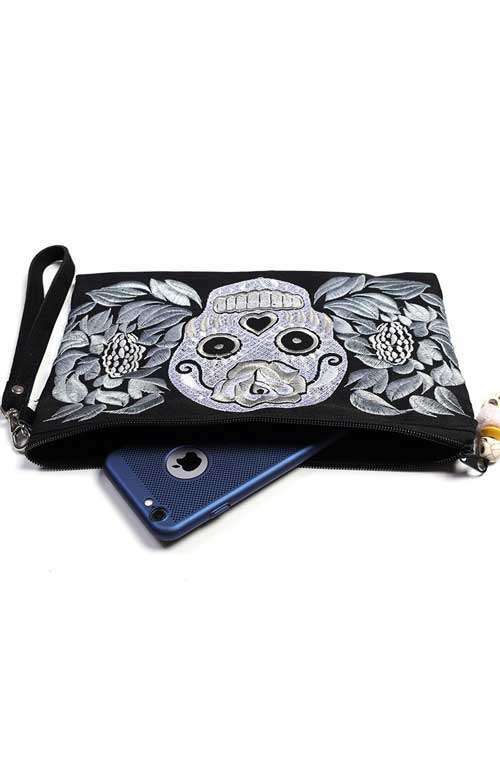 The bohemian clutch features a embroidered silver skull pattern. 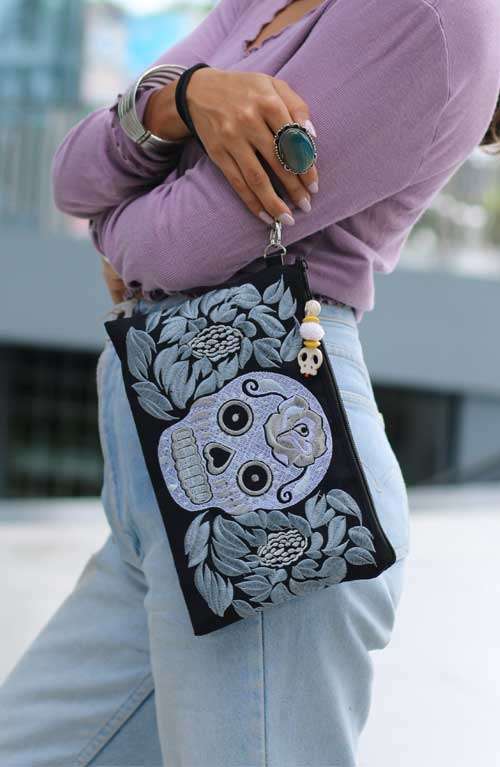 The unique boho purse is fully lined, it has a zipper opening and a zipper pocket inside.